With nary a regard for the season, Facebook has begun spring cleaning its users by wiping out all fake accounts and bogus Page Likes. Some business pages dropped tens of thousands of likes (take a bow, Zynga Poker) while others have noticed no change whatsoever (hello, TechRadar). 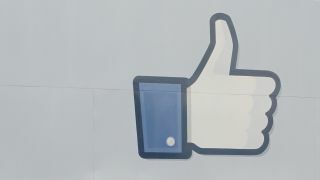 It's all come about as part of Facebook's 'integrity updates' which it announced after a BBC bagel-based exposé that amassed 3,000 likes for a new page in just a few days. Unless the page owner has been buying in fake likes, Facebook explained that, "On average, less than 1% of Likes on any given Page will be removed." For the rest of us non-business users, we should also see a drop in spam friend requests and spammy comments on pages we like. And that, we like. We also like the new inclusion of Dropbox in Facebook Groups – you'll be able to share files with the group, then discuss whatever it is at length through the medium of likes and comments.